Miss Fancybelle: Happy Valentine's Day! 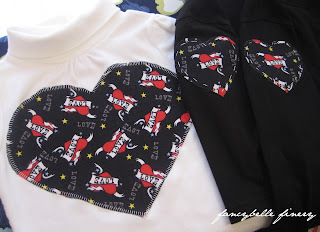 I wasn't going to do anything special for the kids this year, but an idea popped into my head yesterday afternoon and I decided to take an hour to make these cute little Valentine's Day shirts for my little ones! 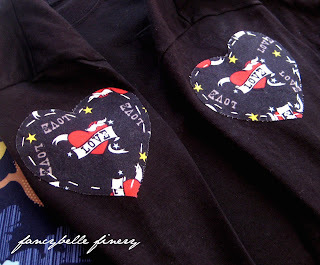 All three shirts have a simple heart applique that I drew freehand. Easy peasy, lemon squeezy...as my oldest son would say! 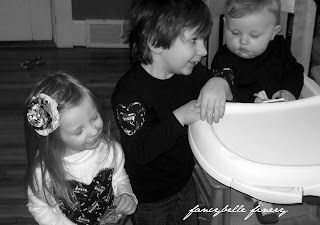 For my boys, I decided to put their hearts on their sleeves (ha!) 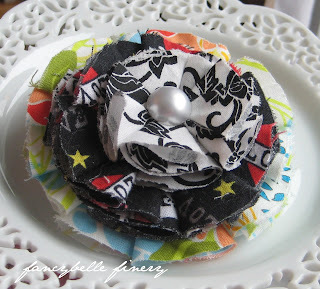 to go with the tattoo print of the fabric I used. 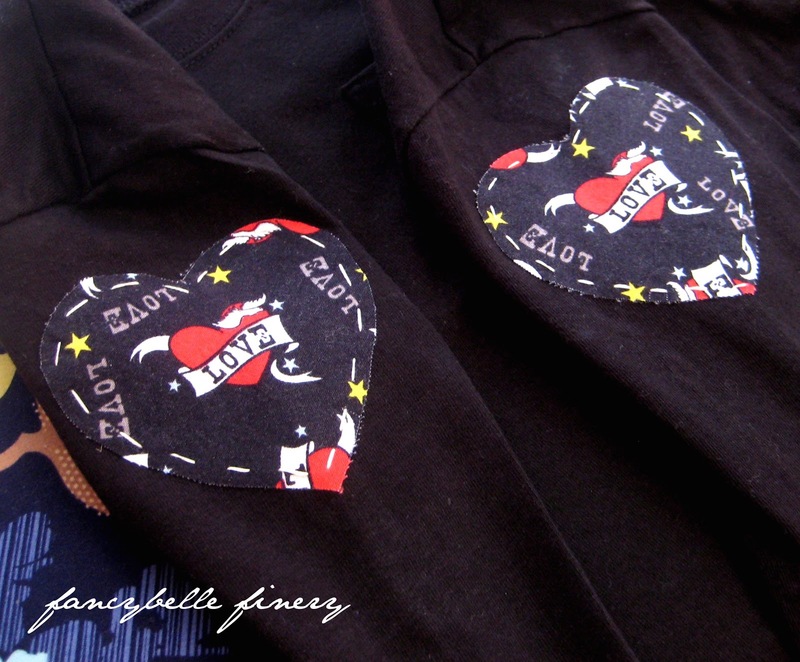 Then I hand-stitched a large running stitch with embroidery floss around the inside edge of their hearts to give them a sewn patch look. I love how it turned out! 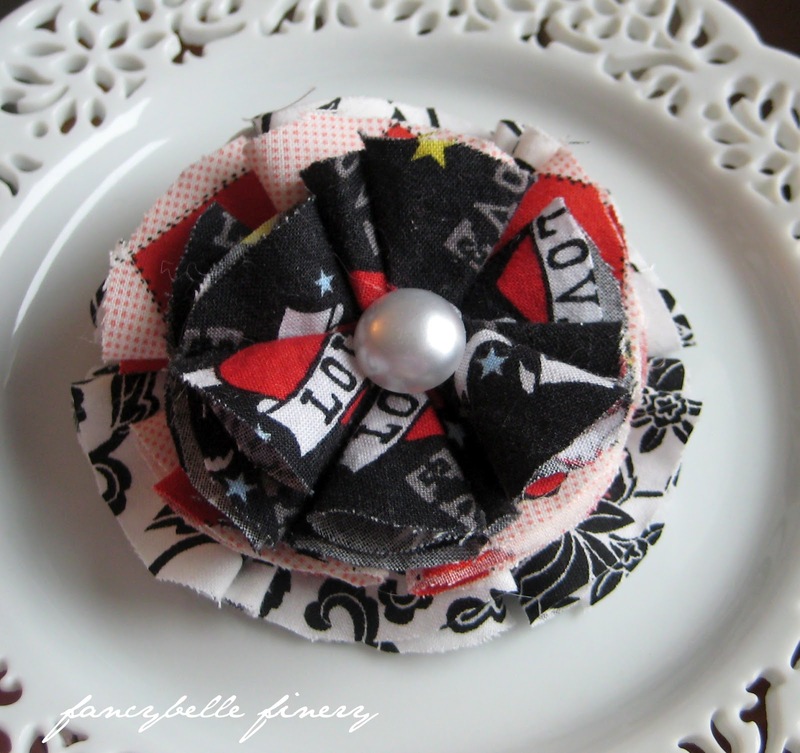 Of course, I couldn't resist making a matching hair clip for my daughter! In fact, I churned out two while watching "Castle" last night with my hubby. What romantic nights we have, right? Ha!